The local music group Ongoma is now trading as Drum Café Namibia, thereby exposing Namibia’s corporate and private sector to the vastly popular programs of one of the world’s leading Team Building and Corporate Events Companies: Drum Café. The news was announced by Ongoma manager and shareholder, Irmi Röder, at an official launch on Friday, 5 February, at The Warehouse Theatre in Windhoek. Ongoma had invited stakeholders in the tourism and entertainment sector as well as prospective corporate partners to introduce its guests to the interactive drumming programs that have made Drum Café an international trade mark. Invited guests seemed to have loads of fun, witnessing a gumboot performance and participating in interactive boom whacking and drumming sessions that left everyone with sore hands but big smiles on their faces. Drum Café’s teambuilding programs have taken the corporate and entertainment world by storm since the company’s inception in 1996 in Johannesburg, South Africa. 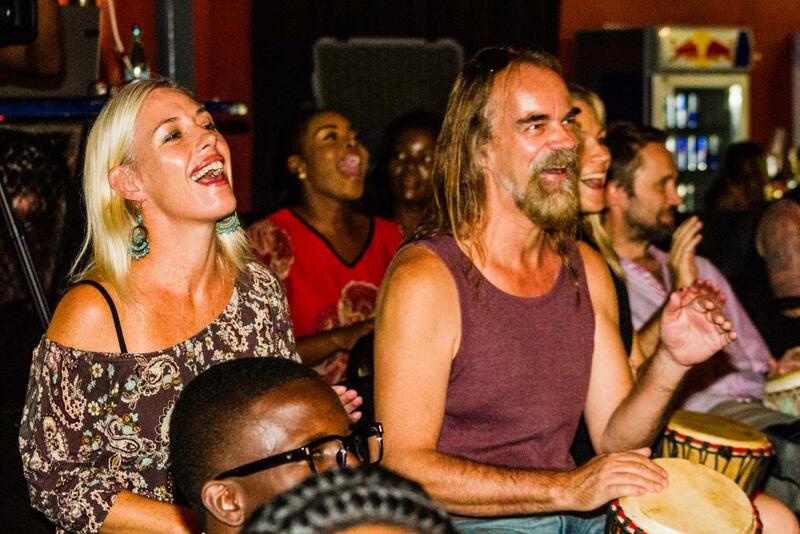 Today, over 30 independent offices on all 5 continents are proof of the immense success of an interactive drumming program that was initiated by South African djembe player Warren Lieberman. After Mauritius and Zimbabwe, Namibia is the third African country to join the Drum Café family that originated in Johannesburg two decades ago. Drum Café is world class. The company has held over 20,000 events in more than 20 countries. Its program has been used by many of the Fortune 500 companies worldwide. 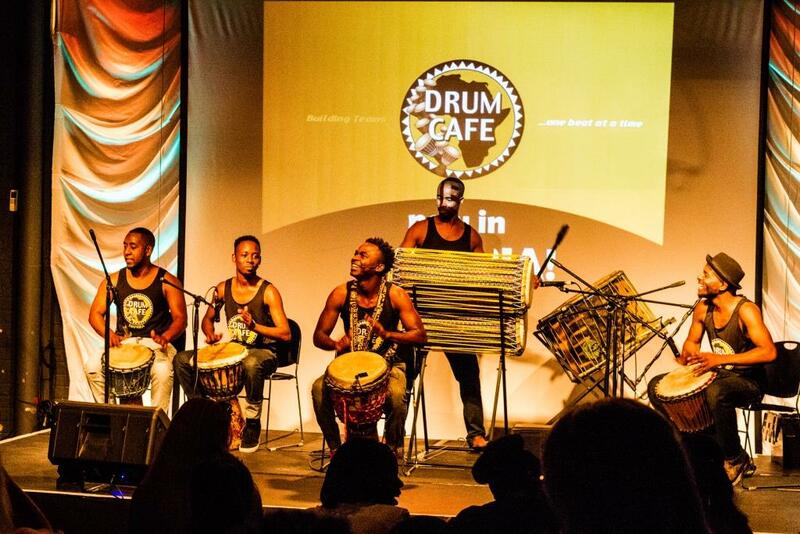 Drum Cafe has performed for some of the world’s top organizations and global leaders, including: Bill Clinton, the British Royal Family, Nelson Mandela, George W. Bush, John Howard and Tony Blair. After receiving training by Drum Café Johannesburg facilitator Toré Gune at the beginning of the year, Ongoma is now offering the same services in Namibia that have made Drum Café internationally famous: interactive drumming for team building, for conferences or for private functions; interactive boom whacking; and interactive gumboot dancing or gumboot performances. The group also plans to initiate regular public drumming circles on a monthly basis at the Warehouse Theatre in Windhoek. For more information log onto www.drumcafe.com or www.drumcafe.co.za/Namibia.php or www.ongoma.com or connect with “Ongoma trading as Drum Café Namibia” on Facebook.